WaterNSW has co-ordinated a multi-agency response to ensure Sydney’s drinking water was not affected by a minor recent oil spill. WaterNSW has co-ordinated a multi-agency response to ensure Sydney’s drinking water was not affected by a minor recent oil spill. A small amount of oil had escaped from a decommissioned transformer on mining land approximately 800m from Avon Dam. Investigations confirmed that the oil has been absorbed in soil around the transformers and there is no risk to water supply. 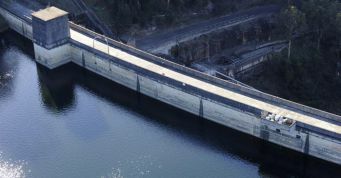 Although there are no waterways in the immediate area, a floating containment barrier has been installed to isolate the nearest tributary to the storage as an added precaution. NSW Fire and Rescue HAZMAT teams also dug two containment trenches to eliminate the risk of the oil spreading. The EPA, Sydney Water and NSW Health have been advised throughout. Monitoring at Avon Dam have not detected any sign of oil in the lake. WaterNSW will direct Wollongong Coal to clean up the site to ensure no ongoing risk to water supply. Mining companies with infrastructure on catchment land controlled by WaterNSW have been advised to review their security arrangements for all sites where transformers are located within the Special Areas and to carry out inspections of all these sites.